LAFAYETTE, Ind. 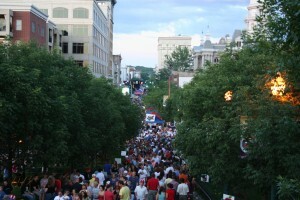 — The annual “Taste of Tippecanoe” will cause road closures and significant detours in the Downtown Lafayette area on Saturday, June 20th and Sunday, June 21st. To help bus riders plan around the Taste festivities, CityBus has announced route and schedule changes for the weekend. 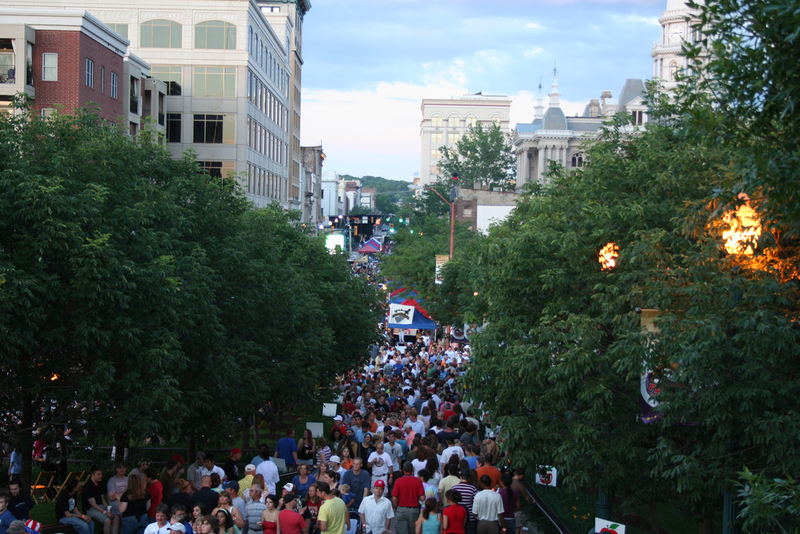 The Taste of Tippecanoe is a one day, multi-stage festival that draws more than 50,000 people and features a smorgasbord of local restaurants, live music, and ends with a spectacular fireworks show for kids of all ages. ROAD CLOSURES: The corner of Third and Ferry streets will be closed to all traffic, including buses. The CityBus customer service office in Riehle Plaza will be closed on Saturday after 4PM. TRANSFER CENTER: Buses will hold on Third St. between North and Cincinnati. 1B, 3B, 4B, and 4A will hold between North & Brown, 1A, 2A, 2B, 3A, 6A, 6B, 7 will hold between Cincinnati & North. TROLLEY: Right on 4th, right on Ferry, right on 5th, right on Columbia, resume route at 2nd. (Note: While Farmer’s market is in effect, until about noon, trolley will need to use 6th instead of 5th). In West Lafayette, trolley will use State St. going east and west bound instead of Tapawingo and Brown. Brown St. will be bypassed. 1A MARKET SQUARE: Bus will depart to North St. as regular route. Evening outbound bus will turn right on 5th, left on Ferry. Inbound bus will turn right on 4th at Brown, left on Cincinnati, left on 3rd. 1B SALISBURY: The outbound bus will turn left on North, right on 5th (6th while Farmer’s Market in effect), right on Columbia, resume route at 2nd. Inbound bus will turn left on River Rd. from State St., right on the ramp to the Harrison Bridge, cross river, exit right on Third St.
2A SCHUYLER: Bus will depart North St. to right on 5th, left on Ferry St., resume route. Inbound bus will turn left on Cincinnati from 4th. 2B UNION: Bus will depart North St. to left on 6th. 3A LAFAYETTE SQUARE: Outbound bus will turn left on North, right on 5th (6th while Farmer’s Market open), left on South. Inbound bus will turn left on Cincinnati from 4th. 3B NORTHWESTERN: Outbound bus will turn left on North, right on 5th (6th while Farmer’s market open), right on Columbia, and will resume route at 2nd St. Inbound bus will turn left on River Rd. from State St., right on the ramp to the Harrison Bridge, cross river, exit right on Third St.
4A TIPPECANOE MALL: Outbound bus will turn left on North, right on 5th (6th while Farmer’s Market open), left on South. Inbound bus will turn left on Cincinnati from 4th. 4B PURDUE WEST: The outbound bus will turn left on North, right on 5th (6th while Farmer’s Market operating), right on Columbia, resume route at 2nd. 6A FOURTH ST.: Outbound bus will turn left on North, right on 5th (6th while Farmer’s Market open), right on Columbia, left on 2nd. Inbound bus will turn left on Cincinnati from 4th. 6B S. 18TH ST: Outbound bus will turn left on North, right on 5th (6th while Farmer’s Market open), left on South. Inbound bus will turn left on Cincinnati from 4th. 7 STATE ROAD: Outbound bus will turn left on North, right on 5th, left on Ferry. Inbound bus will turn left on Cincinnati from 4th.